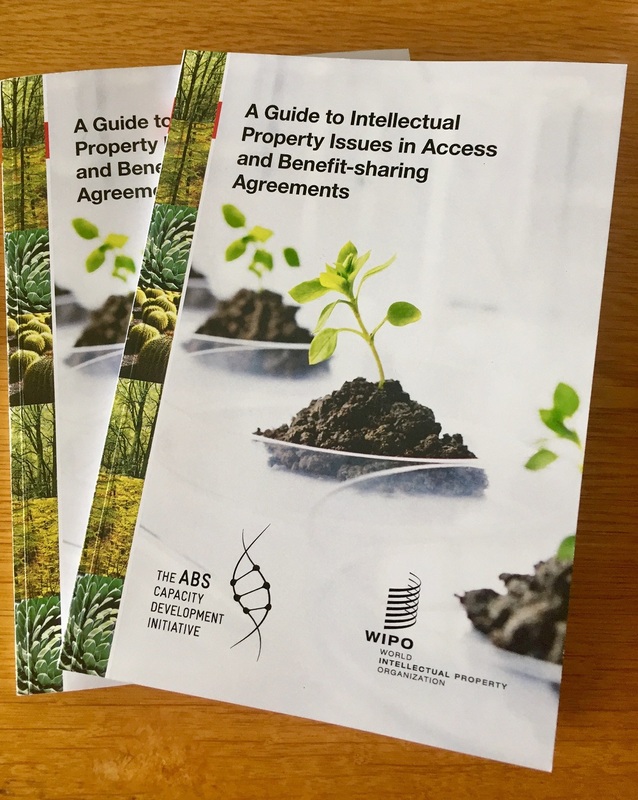 The booklet is titled, “A Guide to Intellectual Property Issues in Access and Benefit-sharing Agreements,” [pdf] and is the product of joint work by WIPO and the ABS Capacity Development Initiative. The guide was launched on 28 June at a side event to the 36th session of the WIPO Intergovernmental Committee on Genetic Resources, Traditional Knowledge and Folklore. The lead authors, WIPO consultants, are Maria Julia Olivia, senior coordinator at the Union for Ethical BioTrade (and an IP-Watch Board member) and Olivier Rukundo, a legal expert on ABS and IP. The ABS Initiative, as it is known, is a multi-donor initiative primarily focused on contributing to the establishment of ABS agreements between providers and users of genetic resources. They are also involved in assisting governments in implementing required regulatory frameworks. The publication follows a format of identifying key issues that arise in ABS agreements supported by case studies and checklists. The guide claims to support both providers and users of genetic resources in reaching mutually agreed terms that are in line with the goals of both parties. It does so in four parts, outlined by Shakeel Bhatti (secretary of the FAO International Treaty on Plant Genetic Resources for Food and Agriculture at WIPO) at the launch event. They are, namely, those focusing on international instruments, corresponding IP rights and their influence on ABS negotiations, the management of such rights including patent licensing, and lastly, sector specific examples. As explained by Hartmut Meyer, senior advisor to the ABS Initiative, government agencies and environmental lawyers generally negotiate these agreements. Commercial lawyers are not usually involved. Citing an example from Ethiopia, he highlighted how this results in strange clauses like banning the defendant from filing patents based on such resources. The Guide outlines the IP rights accruing and how it can be managed with sample clauses, thereby minimizing such occurrences. It covers both commercial and non-commercial ABS agreements. Specific sectors it touches upon include pharmaceuticals, industrial biotechnology, cosmetics and personal care, and food and beverages. "WIPO Publishes Guide To Tackling Issues In Access & Benefit-Sharing Agreements" by Intellectual Property Watch is licensed under a Creative Commons Attribution-NonCommercial-ShareAlike 4.0 International License.